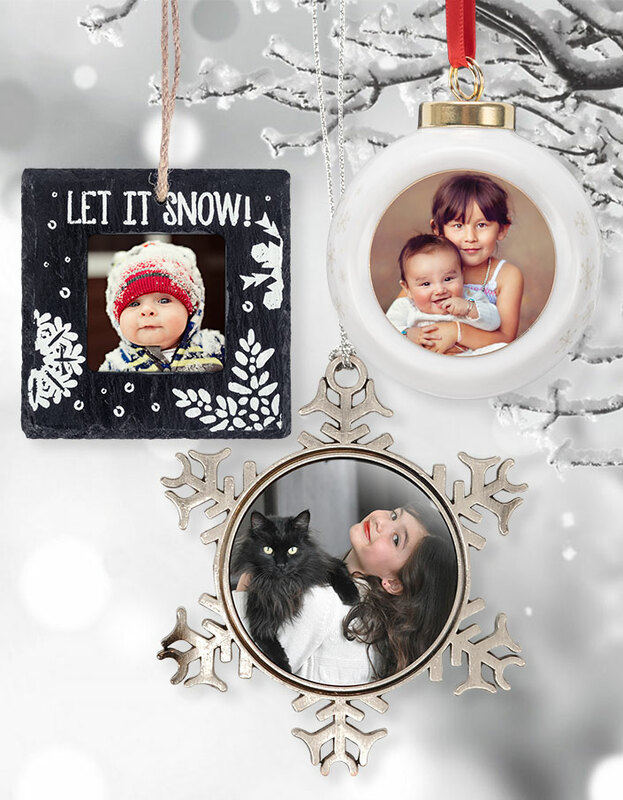 Celebrate the holidays with our beautiful customized photo ornaments! Our ornaments combine the charm of holiday decorations with the sweet nostalgia of meaningful memories and pictures. They have the creative, personal feel of homemade ornaments, only with high-quality materials and flawless construction. We’ve put together a variety of ornaments that match all kinds of holiday décor. For example, you can get a wooden Santa, snowman, or mitten for a rustic, family-friendly atmosphere. All three come with a decorative string for hanging on your tree or anywhere else that needs a little holiday cheer. For something more elegant, check out our frosted glass ornaments, available in three shapes: square, hexagon, and oval. These ornaments have a timeless look that we create by frosting your printed image on glass. A lovely satin ribbon is also included with every ornament, so it’s ready to hang right out of the box. Another classic ornament is the globe, made with high-quality ceramic. These pretty ornaments come in two designs with satin ribbons. We have a red globe with golden snowflakes, and a white globe with snowflakes and the text, “Peace – Love – Joy.” Both fit in great with other globe ornaments on a tree or wreath, giving them a personal touch. Not all ornaments need to be hung on a tree, though. Some ornaments work well as unique stocking stuffers or stand-alone decorations. Our snowflake, metal wreath, and slate square ornaments are all excellent for this purpose. You can hang one in front of a window, silhouetted against the sunlight, or on your car’s rearview mirror to make your commute more festive. No matter what style you choose, you can count on getting an ornament that’s been made with care. The image will stay clear and beautiful for years to come. You could print a portrait of your child or grandchild on an ornament every year as they grow up, without worrying about fading colors. 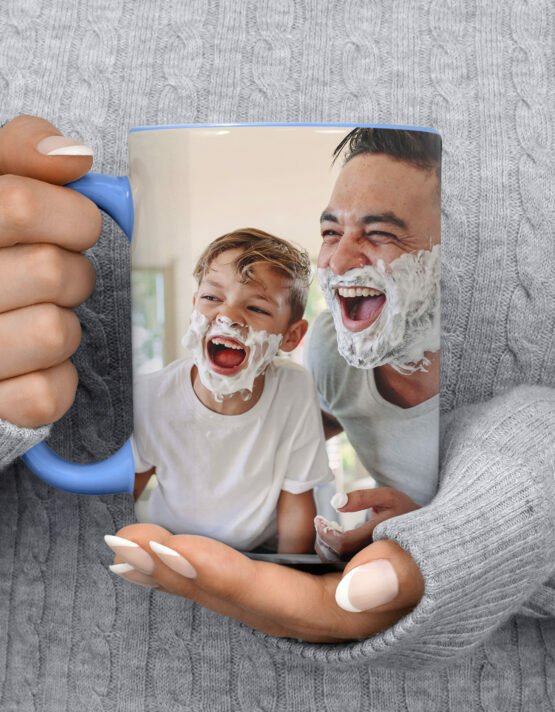 Then, by the time they’re adults, you’d have an amazing collection of keepsakes that capture memories as well as the holiday spirit.